Atlantis. The world’s mightiest empire. Its secrets have been lost to the ocean’s depths, but in this high-action race against the clock, marine archaeologist Jack Howard is about to find out that the gods of Atlantis live on—through a terrifying new evil. A lost Nazi bunker in a forest in Germany contains a dreadful secret. But is there a horrifying new dimension to the Nazis’ rule of terror? 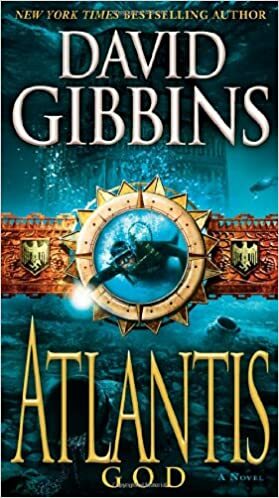 When Jack Howard, head of the International Maritime University, and his team of adventurers return to the lost island of Atlantis in the Black Sea, they realize they’re not just on the trail of the most sought-after treasures in history but are about to uncover a surprising link between Atlantis and the 1930s expeditions of Himmler’s Ahnenerbe, the Nazis’ Department of Cultural Heritage. But unbeknownst to Jack, shadowy figures from his past are joining forces—and they have their own ghastly vision for a new Atlantis. Can he stop them before it’s too late?